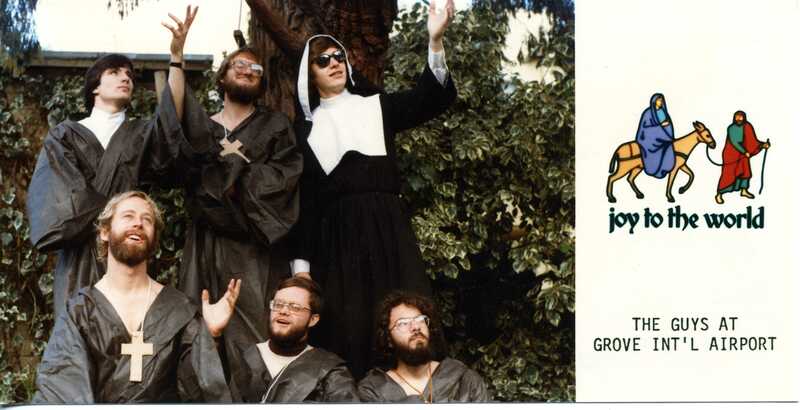 The Punk Monks of Grove International Airport! Did you receive one of these rare 1981 (?) Christmas cards? 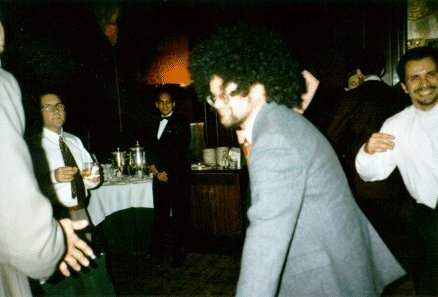 There must have been some magic in that old 'fro wig Al found. 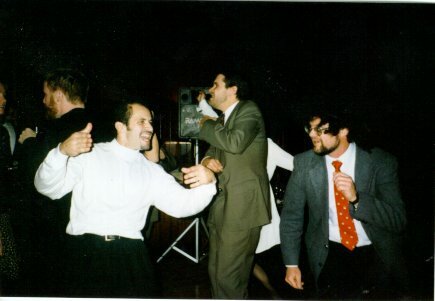 Getting some serious dancing done at the Headland holiday party, 19 December 1997. This page is http://www.PhilDavidson.com/pics.htm .